I’m just gonna go out on a limb and say it: I am not a big fan of red wine and chocolate together [CUE THE GASP]. What can I say? it simply doesn’t work for me… unless of course it is done with the right wine. Lo and behold, I recently came across an excellent red wine blend that pairs extremely well with dark chocolate. I give you Apothic Red Wine Blend. Before I get to the taste of the wine and my personal experience, here is a little background on the winery. Located near the bay area in Modesto, California, this winery specializes in blending techniques. Owned by E. & J. Gallo (leaders in the development of sustainable farming practices) and operated by Boyd Morrison, it has been producing wine since 2006. Boyd Morrison earned his bachelor’s degree in Viticulture and Enology from the University of California at Davis, after which he gained hands-on experience working for various wineries in the Central Valley, Monterey, Napa and Sonoma. Part scientist, part artist, Boyd’s knowledge and experience spans across every aspect of winemaking. From farming the vine, harvesting the grapes, and coming up with a luscious California red blend, this accomplished winemaker has his way with the vine AND the wine. Back in 2005, Boyd Morrison joined the E. & J. Gallo winery, where he started learning and studying New World winemaking process while blending in the mysterious traditions of an Old World style, hence the name of this unique blend. Apothic is a derivative of an ancient and mystical place called Apotheca, where vintners used to blend and store their latest concoctions more than 800 years ago. Blending grapes to create more complex wines is a technique that has been used for many years. With a blend of California Syrah, Merlot and Zinfandel varietals, this wine doesn’t go unnoticed. 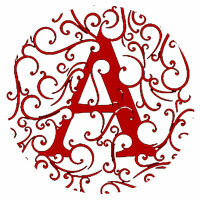 The color is a dark cherry red. The nose carries around intense fruit aromas, dark red berries and plum. 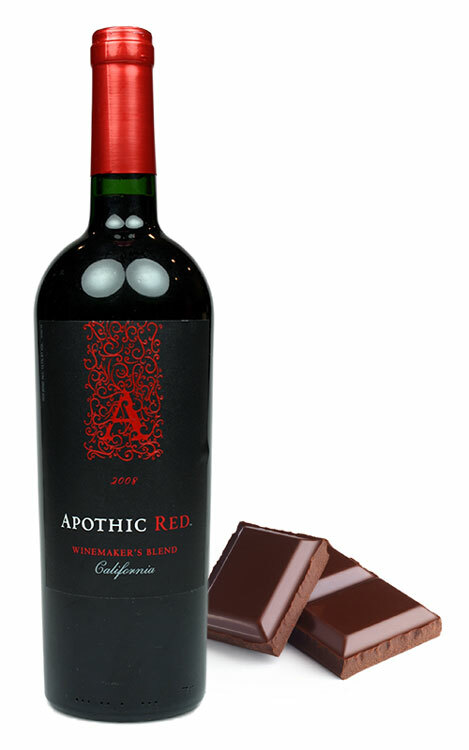 Apothic Red reveals flavors of blackberry and dark cherry layered with hints of mocha, chocolate and brown spice. The rich, velvety feeling and smooth finish complete this full-bodied red blend. The tannins are very soft and barely noticeable. Robert Parker himself called the new blend “one of the greatest bargains I have ever tasted from California.” The result: an amazing and groundbreaking red blend which Morrison describes as “a big ol’ glass of dessert.” Indeed, it is a bit on the sweet side for a red wine; not Sauternes sweet but enough to be mentioned. And if you prefer whites, not to worry, they also make a white blend that combines Chardonnay, Riesling and Moscato, but I haven’t tried that one yet. The chic and stylish label mirrors the many flavors of the wine, and makes it hard to miss. So next time you’re out shopping at your favorite wine store, grab a bottle of this deluxe red blend. For under $14, the epic Apothic Red has character that many $25 wines only wish they had. Give it a taste and let me know what you think! Apothic Red and White blends (vintage 2011) are currently on sale from wine.com; get the red for $11.99, and the white for $10.99. Just opened one of those and enjoying it with my son-in-law. It is nice and a very good value for $7.